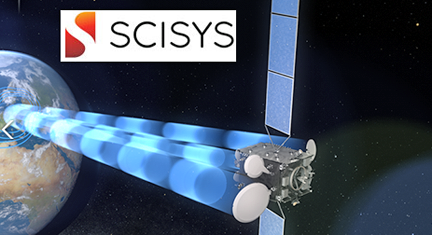 SCISYS PLC ("SCISYS") has been awarded a contract by Sky and Space Global (UK) Ltd (“SAS”) to deliver the network management simulator for their Pearls Constellation of smallsats within 12 months. SCISYS Space will deliver the Pearls Constellation Simulator (or “PearlSim”), a high-fidelity, high-performance, configurable, scalable and portable solution for providing a representation of the constellation, its communication infrastructure, customer activity and mission operations. The simulator will also integrate the network-management and fuel-consumption optimization algorithms, making it an essential analysis tool to support SAS in the assessment of their algorithms’ performance and operational concepts’ validity. This capability will allow the fine tuning of operations quickly and effectively, maximizing service provision, as well as minimizing operational costs and time to service. 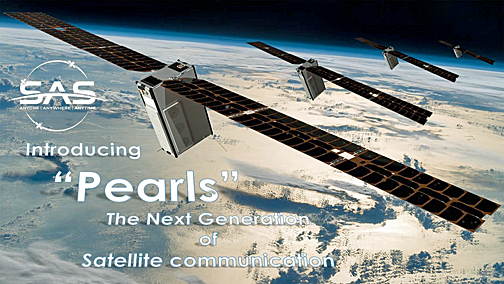 The Sky and Space Global ‘Pearls’ Constellation mission will operate approximately 200 highly autonomous narrowband communication nanosatellites in carefully selected orbits by 2020, giving equatorial coverage of the Earth. This constellation of smallsats will create an affordable global communication network for voice, data and instant messaging for over 3 billion people currently without any mobile coverage. 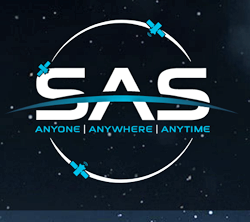 Dr. Spencer Ziegler, Business Director of SCISYS Space UK, said that to be part of such a technologically advanced project is a testament to the exceptional heritage of SCISYS Space as a space-solutions provider, enabling national and international space missions in the commercial as well as the institutional sector." Mr. Meir Moalem, Managing Director and CEO of Sky and Space Global, added that this is an important step bringing the company closer to building the operations of a full constellation of nanosatellites. This contract also signifies the firm's continuous commitment to building strong relationships with leading space industry players in the UK and beyond. This partnership will further boost the company's technological capabilities and help to build a satellite communications network infrastructure which is considered state-of-the-art in the industry.